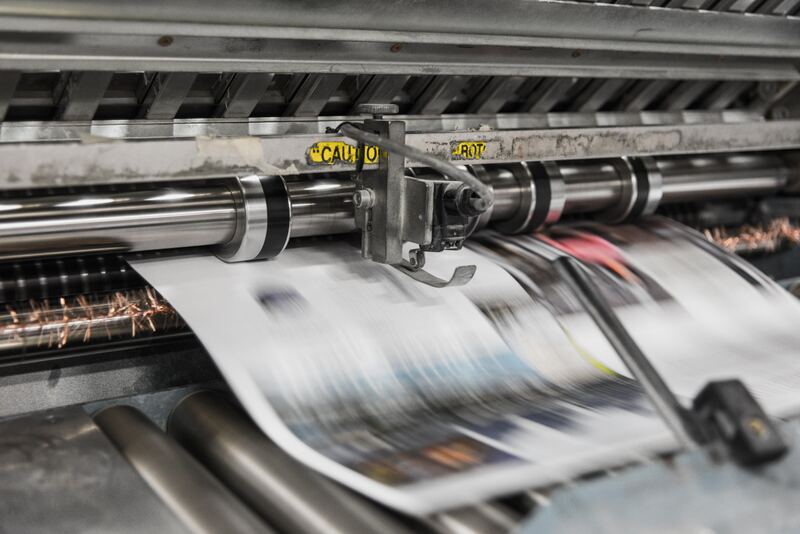 When someone mentions the term content marketing, you immediately think about blog posts and infographics, but what about good old-fashioned print media? 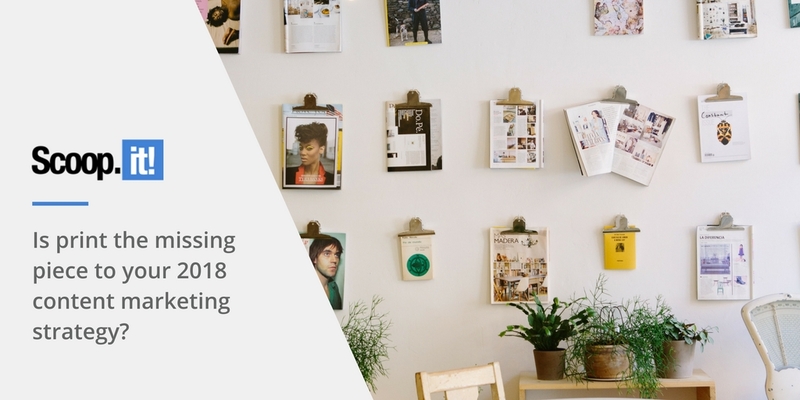 Could it be that print is actually the missing piece to your 2018 content strategy? The answer might surprise you. The internet has permanently altered marketing. And while there’s no turning back from our digitized ways, it would be foolish to say that social media, video, and blog posts are the only methods of content marketing that are effective in today’s marketplace. Just like retro styles have a place in interior design and fashion, print marketing still has a place in business. When you really study the value of print marketing, you could even conclude that it’s a missed opportunity. Content Marketing Institute suggests two out of three marketers don’t include print in their current marketing strategies. While this makes sense at some level – print can be costly and cumbersome – there are far more pros than cons. Let’s check out a few of the reasons why print still yields a healthy return. The digital marketing landscape is overwhelming at times. Social networking sites are constantly refreshing feeds, while the headlines on news sites and popular blogs seem to change by the minute. Carefully selecting the right print marketing materials can help your brand stand out amidst the noise. Fake news has been a big buzzword over the past 18 months. If you post something that’s even the least bit unique, surprising, or controversial, it’s likely that some people will try to discredit it as being fake. This obviously hurts your brand image and ruins the effectiveness of the content. Print content, on the other hand, is much more trusted by readers. This probably has something to do with the barriers to entry. As opposed to a blog post, which anyone can hastily write and publish, publishing physical content takes time and energy. Since most fake news perpetrators are lazy, they aren’t going to publish fake news in print form. This infographic by Vistaprint verifies that print media allows for better comprehension and retention, suggesting that physical print ads have 70 percent higher recall and require 21 percent less cognitive effort (when compared to digital advertisements). Whereas a PPC advertisement only sticks around for as long as you pay, and a blog post only appears at the top of the page for so long, print content hangs around for a much longer period of time. This allows you to continue extracting value for days, weeks, or even months. Not all print marketing is created equal. The specific type of print marketing you decide to use is just as important as making the decision to invest in print marketing in the first place. One of the more underutilized, yet effective methods of print marketing is the postcard. They’re extremely cheap to print – you can get 2,000 double-sided color postcards from PrintingCenterUSA for less than $100 – and they’re simple to send. They can be sent in the mail, stuck in bags, included in brochures, placed in a reception area, etc. Postcards are truly cost-effective and versatile. Trying to get your business featured on a popular blog or industry news site is becoming increasingly difficult. These websites get so many requests that it’s easy for you to slip through the cracks. Magazines, on the other hand, are often looking for stories. Try contacting magazines and other print periodicals in your industry and see if they’d be willing to do a feature story on you. If you have a compelling enough narrative, you may wind up on the cover! When it comes to delivering presentations or speaking at a conference, handing out a brochure or pamphlet gives your audience something to interact with during and after your time on stage. 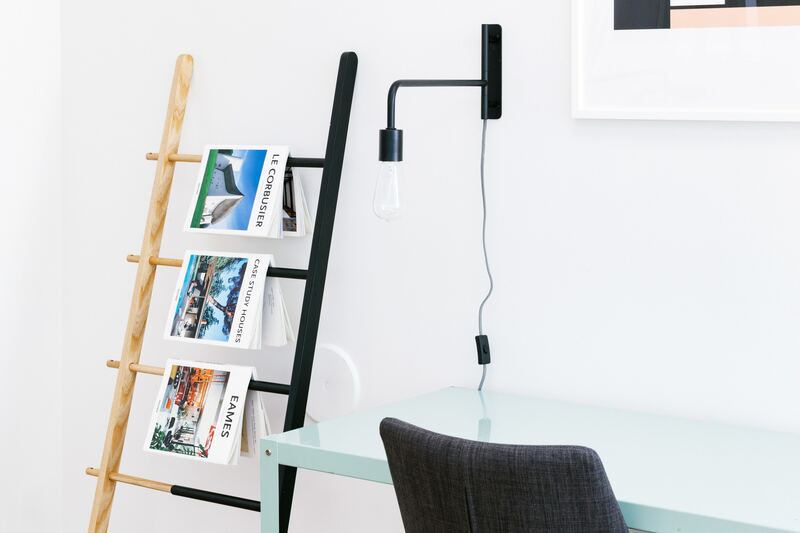 And much like postcards, brochures can be printed for pennies on the dollar. They can also be reused in other situations and environments. What’s not to like? When you’re driving down the interstate, your eyes are frequently drawn to billboards on the side of the road. You probably aren’t conscious of the fact that they’re there, but your brain is processing what you see. The good news is that billboards are surprisingly cost-effective and make a big splash. Get some quotes in strategic areas in your market and consider designing a billboard to coincide with important campaigns and product releases. 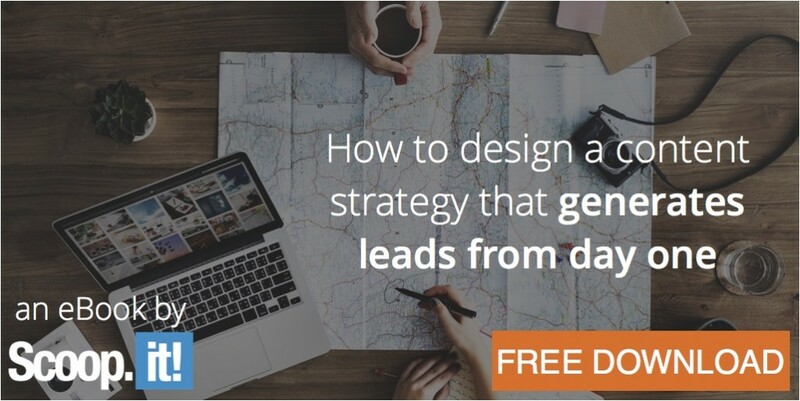 When most people contemplate diversifying their content strategy, they immediately think about incorporating some digital method they aren’t currently using – such as infographics, live streaming video, or guest blog posts. However, true diversification would look like exploring a medium that’s totally different. In many marketing circles, print has the connotation of being rudimentary, outdated, and ineffective – but these claims are largely unfounded. While you probably wouldn’t want to launch a content strategy that’s entirely built on print, there’s certainly value in strategically including various elements of print in a content marketing strategy that’s otherwise largely digital. Feel free to start dipping your toes in the water – and don’t be surprised if you like what you discover and end up diving headfirst into the deep end.